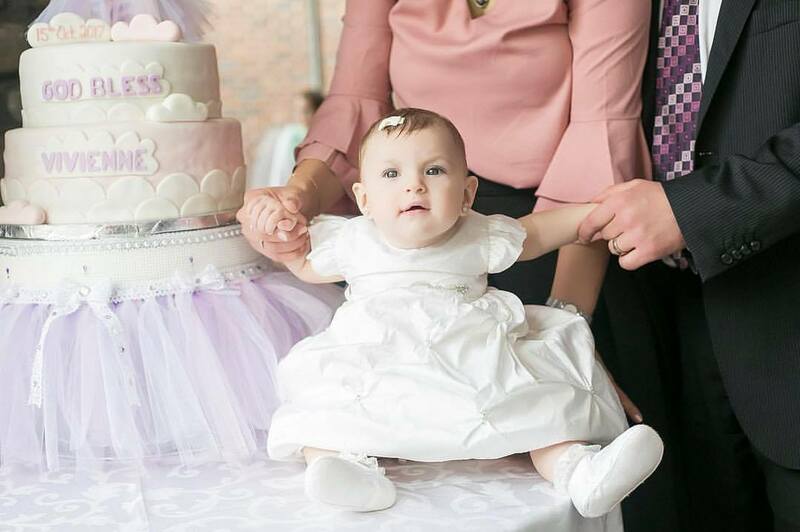 Cradle, crawl or toddle we sure do love helping you celebrate your little bundle of joy! Baptisms and communions are something we love to be apart of! We always swoon over the precious little faces that are cradled, crawl or toddle through are beautiful doors and are madly celebrated by their loved ones. 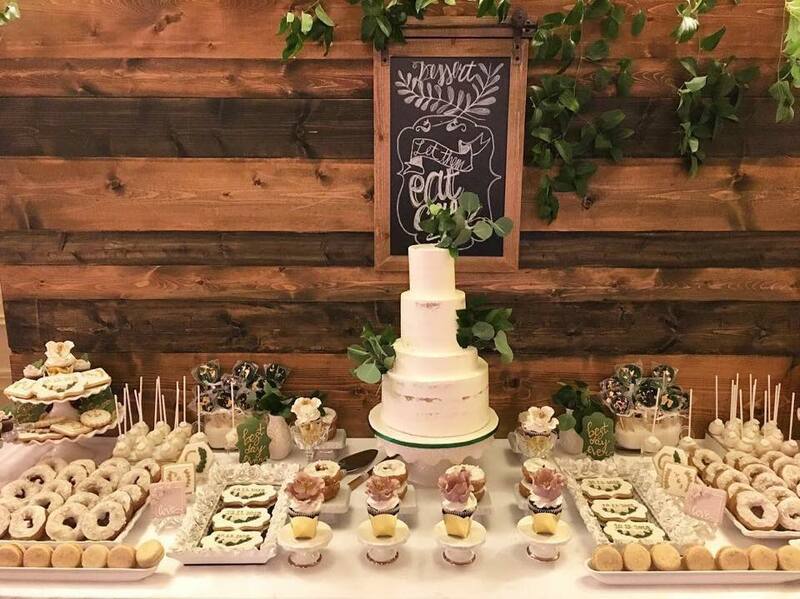 To help you plan for your baptism or communion we have compiled some of 2019’s most popular décor and party trends! Themes can range from delicate hues and crosses to elaborate décor and a pop (or two) of colour. Picking the theme can be daunting but, in the end, follow your gut and go with what best describes your little babe. For little girls there is always the beautiful, classic and bountiful bouquets – real or paper it’s always stunning! In large vases or picturesque backdrop, it gets everyone talking (and taking pics)! Pinks, purple and cream are always a solid go to! The little guys trend on the earthier side with clouds, or greenery the subtle ties of décor always make for big impact! Blues, greens and pastels are the more favourable colours when choosing décor but really there is no limit! 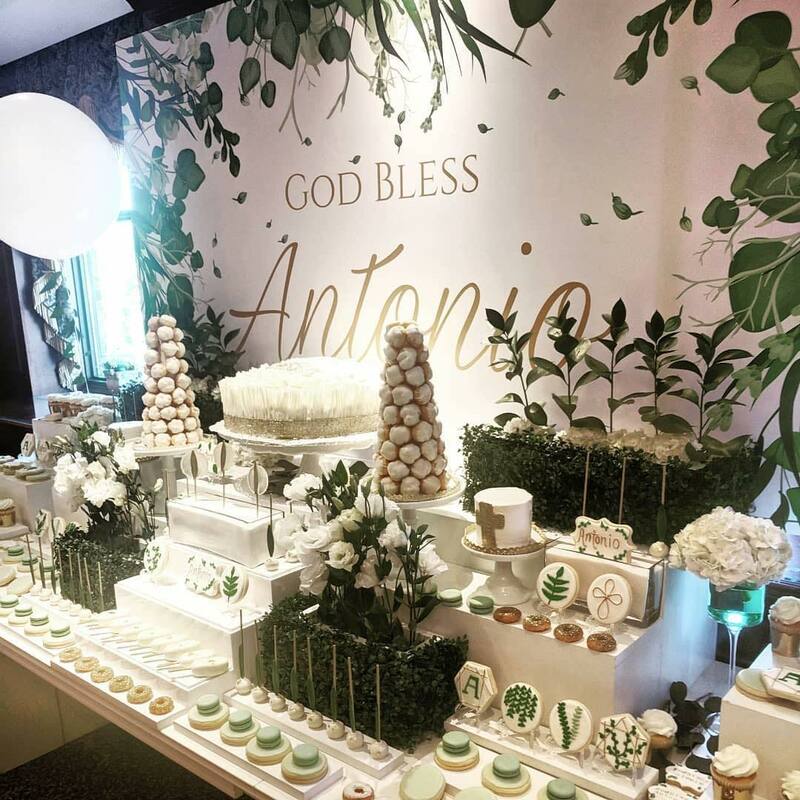 One common favourite is a large sign displayed behind the food spread, classic sweets table or gift area with the little ones initial or full name! With a morning ceremony, brunch is really the perfect choice! Buffet style like a waffle bar or finger sandwiches and drinks, are all convenient and no-brainer options for charming your guests taste buds! At LIUNA we love suggestions and get super excited when helping you create a menu that best suits you and your loved one’s dietary needs. So, whether you choose one of our pre-designed menus or hand-pick your own, your guests will surely be raving! P.s. don’t forget about the cake! Cakes are no longer limited to just a slab or a few layers – there are so many options that will transform your table into a piece of art! 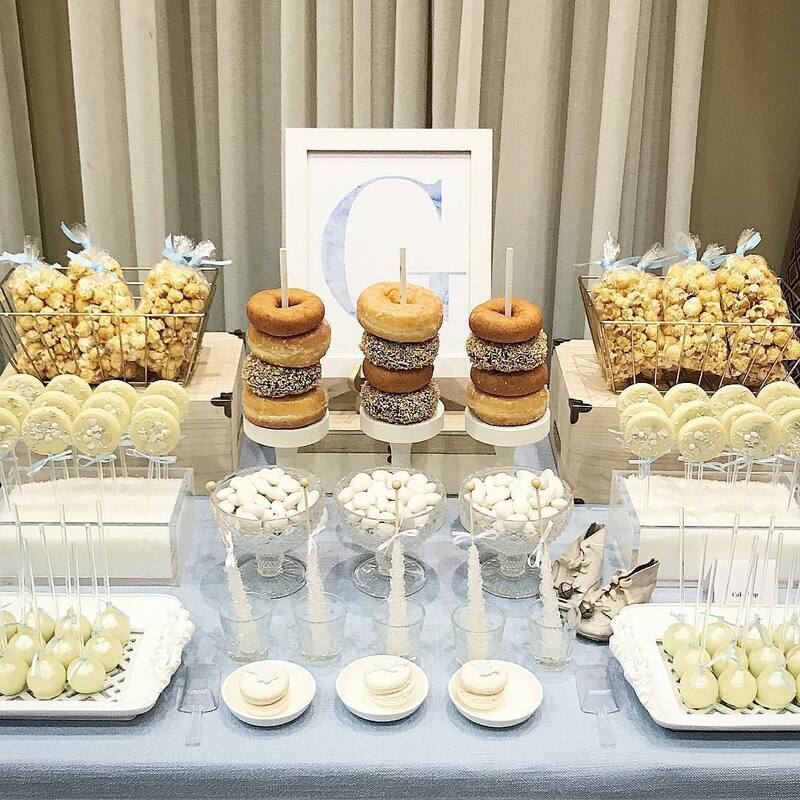 Cake pops, cupcakes or donut cakes to name a few and the sweet spread that accompanies this dreamy masterpiece are a vast array of divine treats! The spread is truly almost too good looking to eat! And as for the party favours people have gifted their sweet families and friends with candles, keychains or cookies with the little darling’s name scripted on them with icing (colour coordinated of course!). But as most would agree the little favour is not the highlight of the day! Whether you choose a formal or more relaxed gathering to celebrate your precious little bundle we can’t wait to help you make the most magical and memorable day to commemorate your son or daughter! Image 2: Sweet Table by: The Sweet Bash Co.